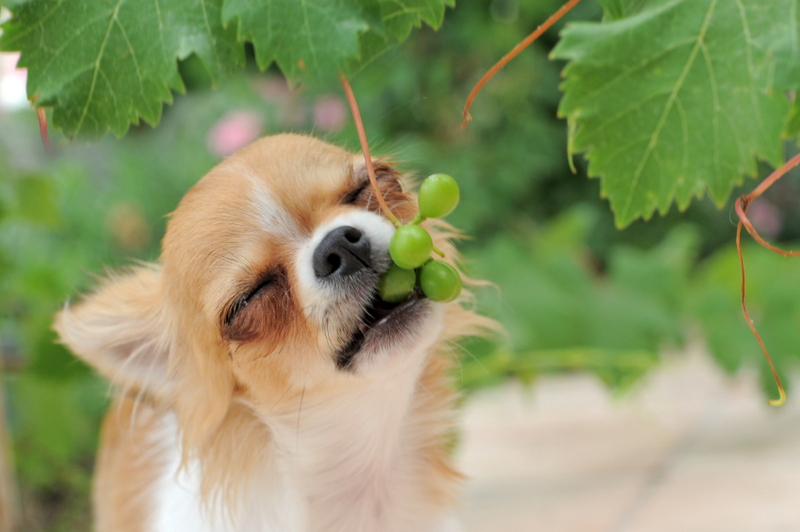 The American Kennel Club refers to this dog as “saucy,” and with good reason: Despite their small size, these dogs have a ton of personality. 1. They hail from Mexico. 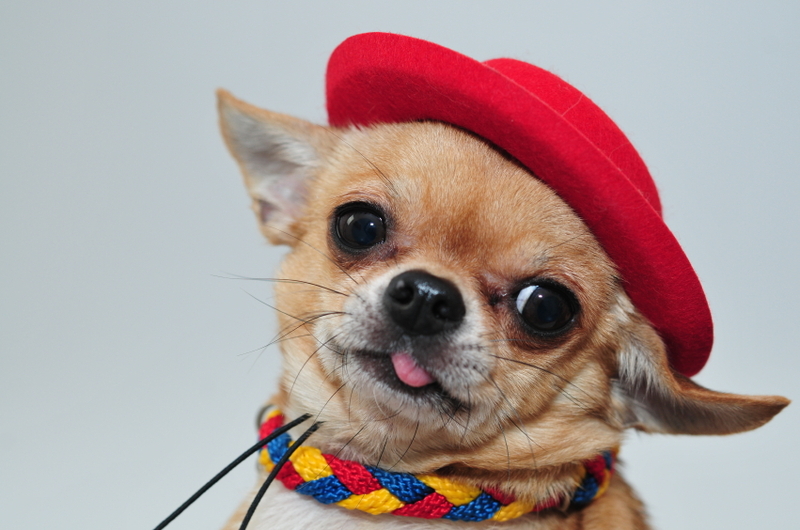 Chihuahuas are believed to be descendants of an ancient breed, the techichi. Toltecs in Mexico kept these pups as lap dogs as early as the 9th century CE. 2. Christopher Columbus might have brought them to Europe. While experts are certain the small dogs come from Mexico, the route they took to Europe is less clear. Some point to Christopher Columbus, who wrote a letter to the King of Spain referencing the tiny dogs. It's possible that he brought some of the canines back from his travels. 3. They shrunk over time. The earlier version of the dog was probably much larger than the ones we see today. After being crossed with a smaller hairless dog from Asia—perhaps a Chinese crested brought to Alaska across the Bering Strait—the breed shrank in size. 4. Don’t poke their heads. 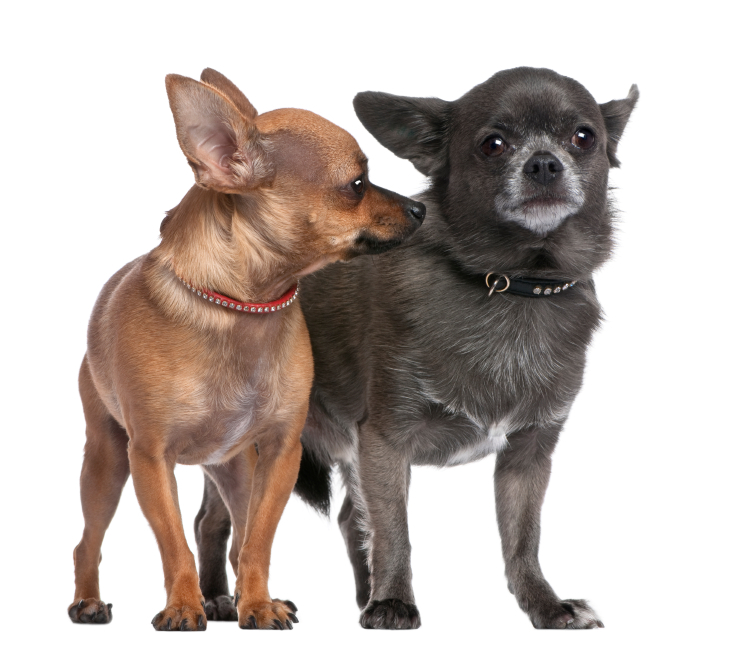 Like human babies, chihuahuas have a soft spot on their heads called molera. 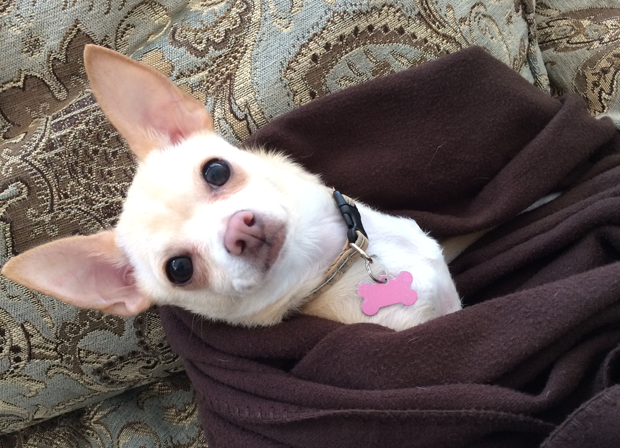 But unlike babies, a chihuahua might have the spot for its whole life. 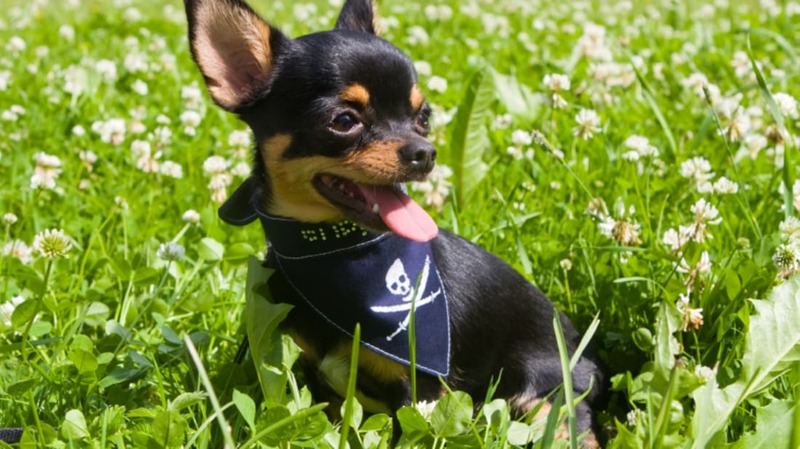 Whether or not a chi keeps its soft spot depends on size, genetics, and skeletal structure. Show dogs aren’t penalized for having them. Chihuahuas can either have apple or deer shaped heads. Deer-headed Chis have a narrower head and longer snout. The apple-headed pooches sport a bulbous dome. Both are adorable, but the AKC strongly prefers the apple shape for show dogs. 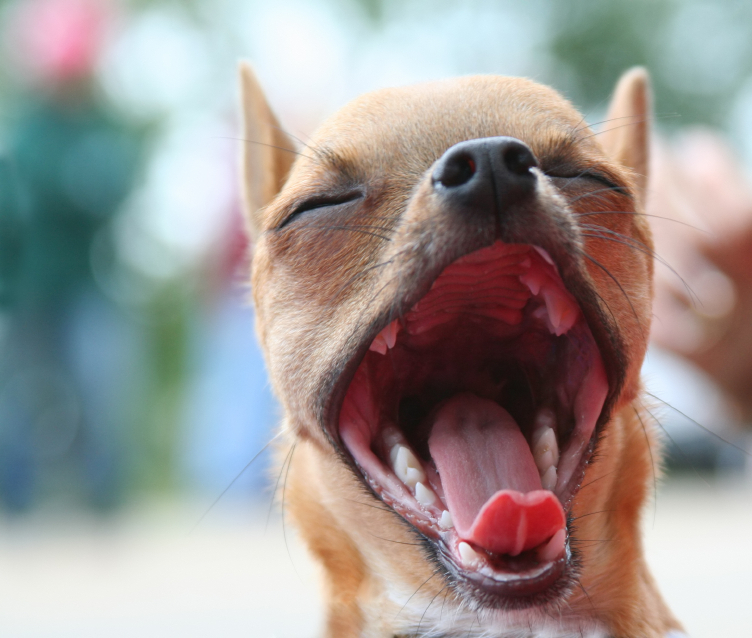 Relative to their bodies, Chihuahuas have the biggest brain in the dog world. They're quick-witted and easy to train. They're not, however, easy to housebreak as a result of a tiny bladder and a willful personality. As desert dogs, they’re also not too keen on the rain or cold. 7. 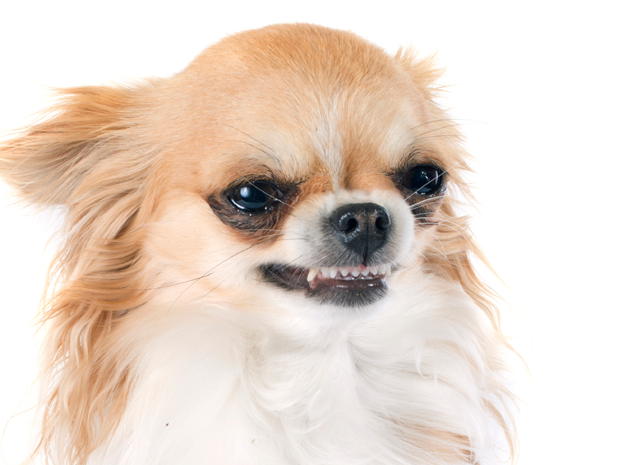 Don’t mess with the Chihuahua. Chis are tiny, so they compensate with fierceness. 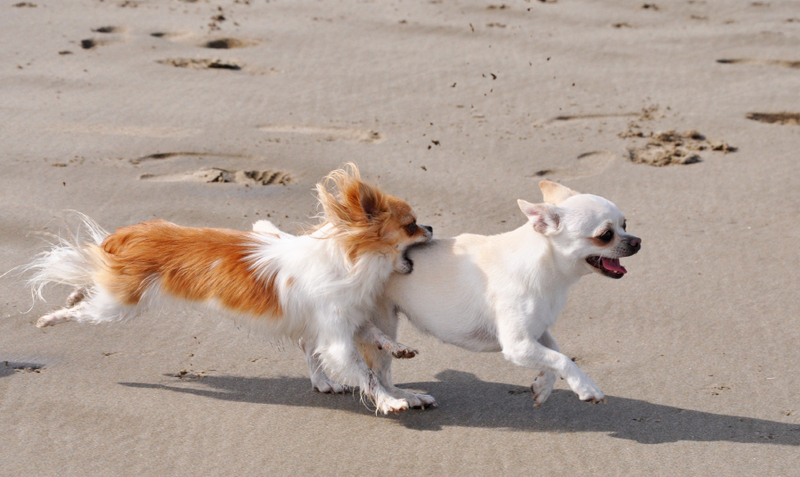 One study found that the tiny pups are one of the most aggressive breeds toward humans and dogs outside their own breed. To combat this, owners are urged to socialize them with other people and dogs early. 8. A feral pack took over and terrorized an Arizona town in 2014. 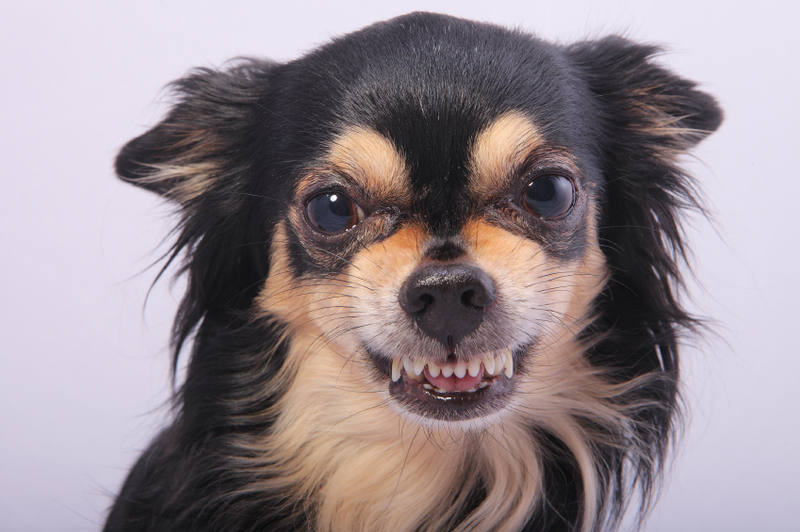 Speaking of the Chihuahua’s fierceness: Last year, a group of strays overran a small town in Arizona. Packs of the dogs would run around Maryvale, terrorizing children and defecating freely. They would form large groups and harass the townsfolk. Sometimes they even teamed up with larger dogs. "I seen six or seven Chihuahuas ... and big dogs running with the Chihuahua's in a pack running every single day," a resident told Fox News. Residents made about 6000 calls to Animal Control, which had a difficult time wrangling the disobedient pooches. “We compared the number of calls we got in 2013 from that area to similar areas in town and the calls from Maryvale were three times higher than surrounding areas,” Melissa Gable of the Maricopa County Animal Care and Control told ABC11. “Part of it is these animals aren't spayed or neutered, so they're out looking for a mate and are having babies, which also contributes to the problem." 9. 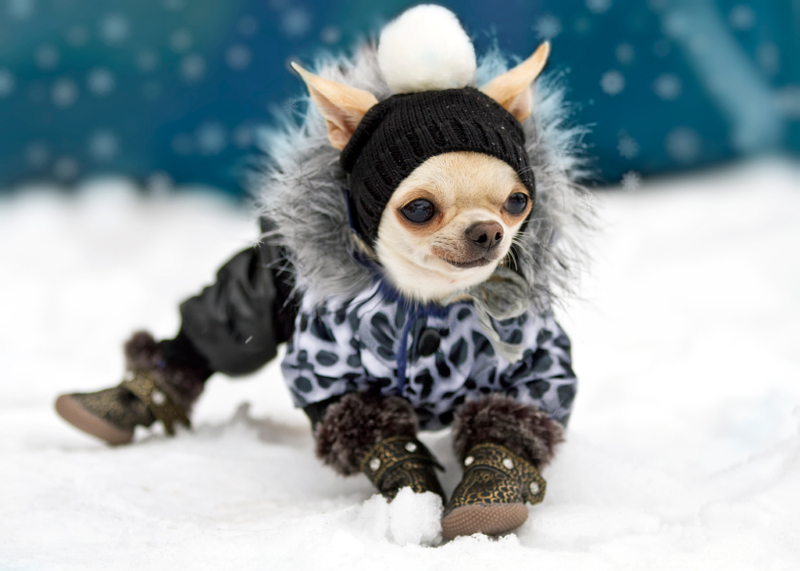 The smallest dog in the world is a Chihuahua. Brandy, the smallest dog in the world, is just six inches from her nose to the tip of her tail. Comparatively, the largest dog living is over 7 feet long. 10. The Taco Bell Chihuahua had lots of work. In the late '90s, Taco Bell ran commercials featuring a Chihuahua voiced by Carlos Alazraqui saying “¡Yo quiero Taco Bell!" The dog, named Gidget, was found at a kennel. She didn’t have dog show good looks—she had an undershot jaw and big ears—but she knew she was a star. In addition to her Taco Bell gig, the diva dog also appeared in Legally Blonde 2 and a GEICO commercial. As her star rose, Gidget was credited with sparking a resurgence in the breed’s popularity. When she passed away in 2009, Taco Bell released a statement: "Our deepest sympathies go out to her owners and fans."